Visitors to our holiday cottages will delight in having the Brecon Beacons on their doorstep – 520 square miles of stunning national park – remote mountains, rolling moorlands, hidden waterfalls, cosy hamlets and sheltered valleys served by a handful of market towns where you will find some delightful country pubs. 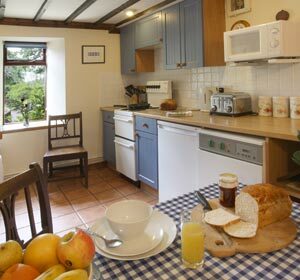 Our cosy cottages are situated near a beautiful southern gateway into the National Park. The following ‘must-see’ attractions are ALL within twenty minutes of our Brecon Beacons self catering. Henrhyd Waterfall – walk right behind the falls and enjoy the sensation of a roaring torrent of water falling a few feet from one’s face. 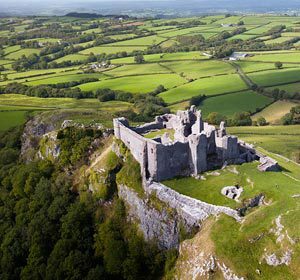 Castell Carreg Cennen– one of the most spectacularly sited castles in Europe, sits at the edge of a 300ft cliff and has a secret dungeon. The little farmhouse caf near the car park serves tea and Welsh cakes. Craig y Nos Castle– a magnificent Victorian-Gothic country house, former home of opera singer Adelina Patti. More recently, scenes from Dr Who and Torchwood have been filmed here. Fforest Fawr Geopark – a landscape protected for its spectacular geology. Look out for a mountain known as The Sleeping Giant due to its resemblance to erm…a sleeping giant. Hay on Wye – a country town at the north east corner of the park that has become world famous for its secondhand bookshops (over 30 at last count). Our self catering cottages also make a great base for adventure activities in the Brecon Beacons. Our friends at Adventure Britain, outdoor activity specialists, offer special discounted rates for guests at our accommodation. The top ten activities to try are canyoning, caving, climbing, mountain walks, canoeing, kayaking, coasteering, quad biking, paintballing and clay pigeon shooting. There is nothing like returning to put your feet up in front of the fire after a day of jumping off waterfalls in the National Park. Ofcourse, many of our guests also enjoy in more traditional activities like walking and cycling. There are many planned walks of different difficulties that can be booked in advance, or you could just get the map out and make your own tracks. There are over 500 square miles of ground to wander over “ and if youve not got a head for heights or fancy something a little less challenging than the peaks, there are plenty of flatter, wooded walks that you can do. Beacons Way is a tempting trek for those in for the long haul. Opened in 2005 and stretching all the way for 100 miles from Abergavenny to Bethlehem in Carmarthenshire, this is definitely a challenge that will require weeks rather than hours but you can always pick an area close to the cottages and make a day of it. The section heading west from Dan yr Ogof caves is reckoned to be one of the best ridge walks in the UK and it’s also one of the closest parts of the Brecon Beacons to the cottages. Cycling and Mountain Biking “ If two wheels is more your thing than two legs, then hop onto your bike and explore at your own pace. 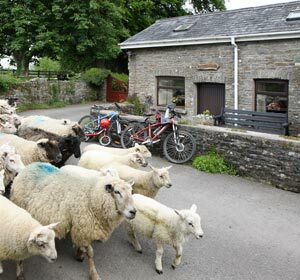 There are many cycle paths that pass through the Beacons, including the Celtic trail, which passes our self catering accommodation in Pontardawe. Bikes can be hired at Afan Forest. 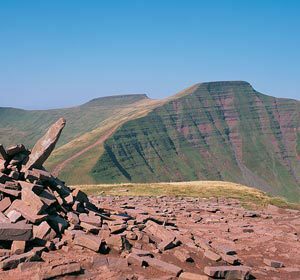 The Brecon Beacons National Park was established in 1957 and stretches from the Carmarthen Fans near Llandeilo on the western side to Hay-on-Wye in the east. The beacons from which the range is named, would have been those lit to warn of attack by invaders in times gone by but have since come to commemorate national events such as the millennium and the recent Diamond Jubilee of Queen Elizabeth II. It is one of three National Parks in Wales, the other two being Snowdonia and Pembrokeshire Coast.